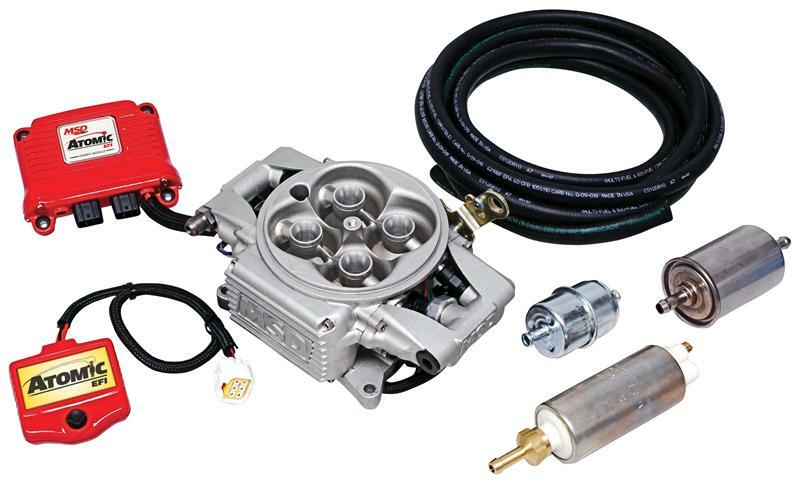 This is the complete kit for anyone planning to convert from a carburetor to Atomic EFI. You get the Throttle Body, Power Module (with Wide Band O2 sensor), Handheld Controller, and the Standard Fuel Kit for up to 525hp naturally aspirated (at the crank). The Atomic TBI is compatible with Boost/Nitrous!